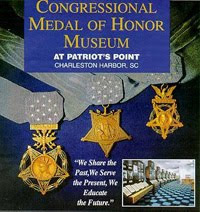 After many years of research into the life of World War II Medal of Honor recipient Sgt. 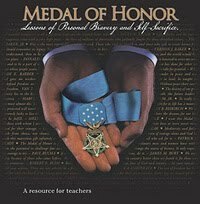 Homer L. Wise, we gathered a great deal of resource materials about Medal of Honor recipients and news on efforts of various memorial committees, authors and videographers across our nation who are preserving the history of these heroes. There are many great websites on the Internet dedicated to these Medal of Honor recipients but we noticed that there wasn’t a general news website or newsfeed that aggregated current news stories in one place. We decided to create this website to serve that need. We wish these extraordinary men, whose “conspicuous gallantry and intrepidity at the risk of his life above and beyond the call of duty while engaged in an action against an enemy of the United States” will never be forgotten. Please enjoy this website and news source. 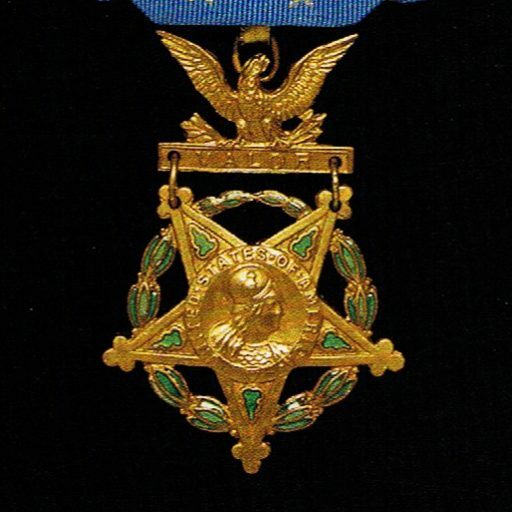 If you wish to contact us, with books, videos, and/or news suggestions and sources to add to Medal of Honor News please send an email to: h.l.wisememorial@gmail.com. We will make every effort to review your submission in a timely manner. This web site is dedicated to George S. Vlasto 1928-2014. George Vlasto was a scholar, scientist and college professor. George earned a undergraduate degree from City College of New York, Masters and Doctorate degrees from New York University. He had an extraordinary deep knowledge about World War II. He was avid collector of wartime radio news broadcasts. He mastered the use of movie film and covered many of the major post war celebrations beginning in 1945. 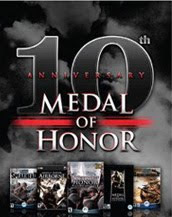 Including the ceremonies in New York City honoring Eisenhower, Nimitz, Churchill and other heroes of the World War II. A member of the Homer L. Wise Memorial Committee, a successful project to erect a statue of Sgt. 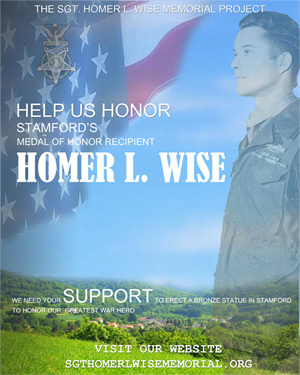 Wise in Stamford CT, a recipient of the Medal of Honor during World War II, he provided valuable assistance to the project because of his friendship with Sgt.Wise and his historical expertise.